Dhaka (Agenzia Fides) - The care and protection of children is a pastoral priority for the Church in Bangladesh: said Cardinal Patrick D'Rozario, Archbishop of Dhaka, who took part in a gathering of pastoral animators which brought together representatives from the capital of all Catholic dioceses in Bangladesh. The responsibility of the Church, says the Cardinal in a note sent to Agenzia Fides, is "to support families in protecting the rights of children, creating a suitable environment for children, accompanying them in human, moral and religious formation and in preventing the various forms of abuse". The Cardinal includes the pastoral care of minors among the 12 main points regarding the pastoral plan of the Bengali Church, adopted for the next ten years and titled: "Communion: witness of the Church in Bangladesh". Among the pastoral focuses present, there are: the spirituality of communion in individual, family and social life; formation regarding faith, evangelization and pastoral services; inter-religious harmony and the unity of Christians; pastoral care for migrant workers; attention towards the poor and the most vulnerable; the protection of the environment; the awareness of civil rights and the improvement of social services; political commitment and new technologies. 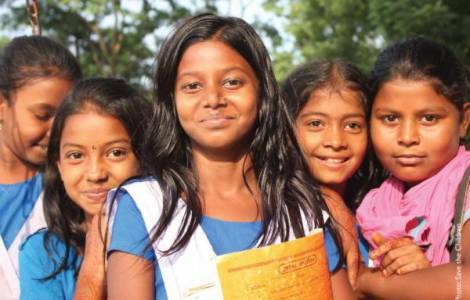 In this regard, in recent days the new social network dedicated to children was presented to the Bengali Catholic community, elaborated by well-known Bengali and American Catholic educators. The network called "MommyDaddyMe" (www.mommydaddyme.com), aims to improve the connectivity and social knowledge of children between the ages of 4 and 12. The platform connects children and parents and uses new technologies for educational purposes, for the benefit of children and with the participation of their families.